I thank you for organizing this High Level Meeting to commemorate and promote the International Day for the Elimination of Nuclear Weapons and welcome this opportunity for Member States, Observers and civil society to have frank debate on an issue that concerns the security of our peoples and our planet. The United Nations Office for Disarmament Affairs (UNODA) reports that to date, over two thousand (2000) nuclear tests have been conducted. That is two thousand (2000) too many. UNODA also reports that the world still has over fourteen thousand (14,000) active nuclear weapons. That is fourteen thousand (14,000) too many. Nuclear weapons provide only a false sense of security to those who possess them while simultaneously provoking fear and anxiety at the prospect of these weapons being used. 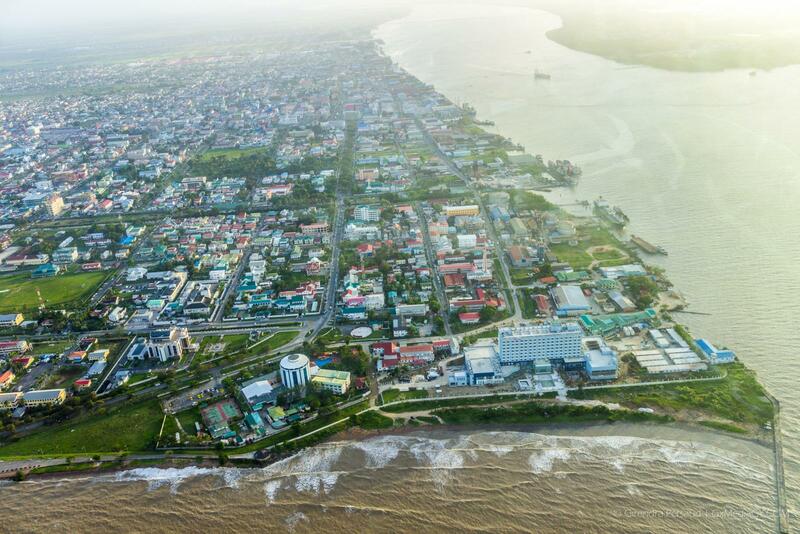 Accordingly, the historic Treaty on the Prohibition of Nuclear Weapons (TPNW) opened for signature and ratification last September, Guyana was the first Member State to sign and ratify the Treaty. Our decision to both sign and ratify the Treaty was rooted in our firm conviction that the total elimination of nuclear weapons is dependent not just on our words but, more importantly, on our actions in fulfilment of our common obligation to work for the maintenance of international peace and security. 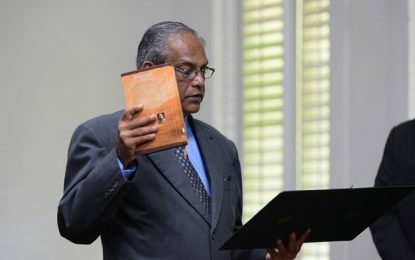 As a non-nuclear weapon State, Guyana’s ratification of the TPNW is a demonstration that the continued existence of nuclear weapons requires action by all of us given the indiscriminate and unparalleled destruction that they can cause, the existentialist threat that they pose and the level of insecurity they create. We urge Member States to ratify the Treaty to ensure its early entry into force, thereby strengthening the international norms and standards regarding the total elimination of nuclear weapons. The current international security environment is characterized by many complex challenges and it is important for UN Member States to have a common vision in their approach to those challenges. Guyana was therefore pleased to see the Secretary General and the High Representative for Disarmament commit to increase their efforts to facilitate dialogue between Member States in order to help them return to a common vision and path leading to the total elimination of nuclear weapons. The nuclear disarmament architecture provides the framework within which we can achieve this goal but we need to see action-oriented commitment to the instruments that comprise the architecture. On this note, compliance with obligations under the Nuclear Non-Proliferation Treaty is critical given that nuclear non-proliferation and nuclear disarmament are twin aspirations since the only way to guarantee non-proliferation is by complete disarmament. Further, entry into force of the Comprehensive Nuclear Test Ban Treaty is an urgent question that requires responsible leadership on the part of those States whose ratifications are required for the Treaty to enter into force and we appeal to them to rise to the occasion. Guyana also welcomes ongoing work geared towards the negotiation of a Fissile Material Cut-off Treaty which will further consolidate the nuclear disarmament regime. The maintenance of nuclear weapons is increasingly inconsistent with the UN Charter which obliges Member States to strive to promote international peace and security. Further, the existence of nuclear weapons is opposed to development since it represents a diversion of the world’s economic resources towards unnecessary implements of war. This is a great disservice to the economic and social development of the world’s people – an obligation which we have committed to through the adoption of Agenda 2030. As I conclude, I appeal to all Member States and other stakeholders to be deliberate about creating opportunities for progress on the long-standing issue of nuclear disarmament. Our planet and our peoples expect and deserve nothing less and we must deliver. For its part, Guyana is unwavering in its principled support for the total elimination of nuclear weapons and remains an active and conscientious partner in the global agenda to realize a nuclear-weapon-free world.